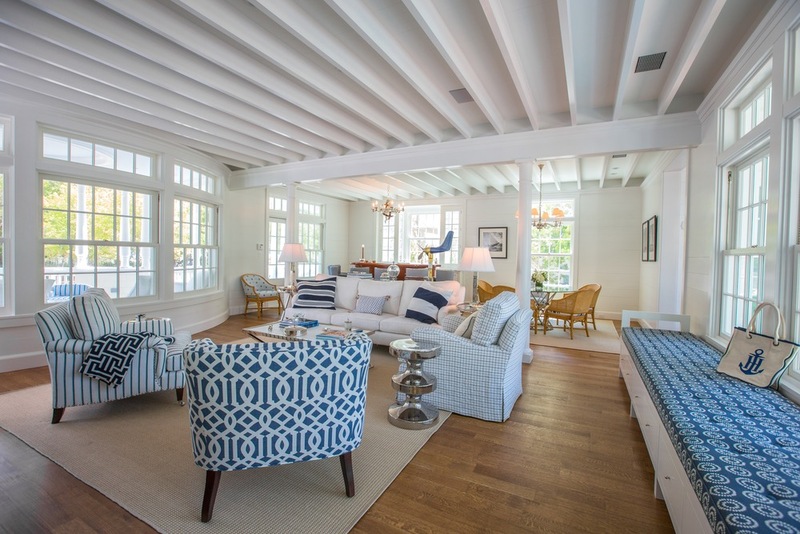 Home builder: Warren Laurent, O.B. Laurent Construction, Inc. 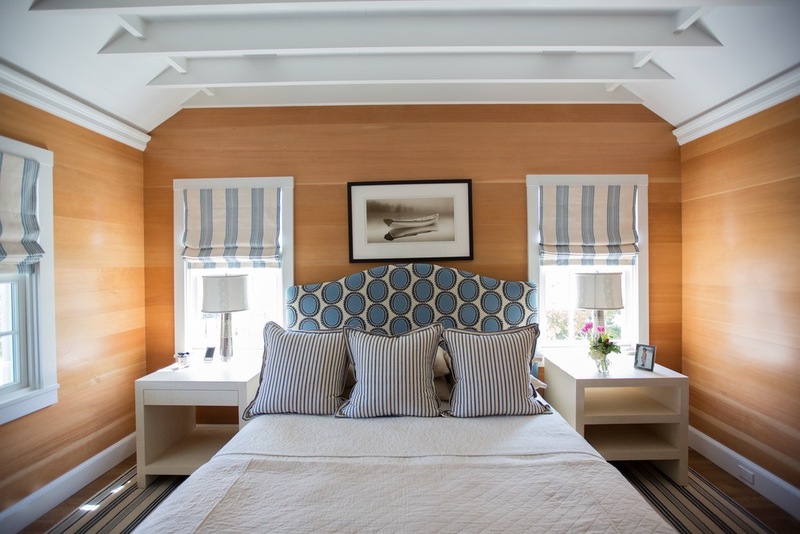 The inspiration for the interior design came from Willie’s summer travels to Nantucket with her mother. Though she is no longer with them, the family honors her memory with a daisy etched on the entry gate. 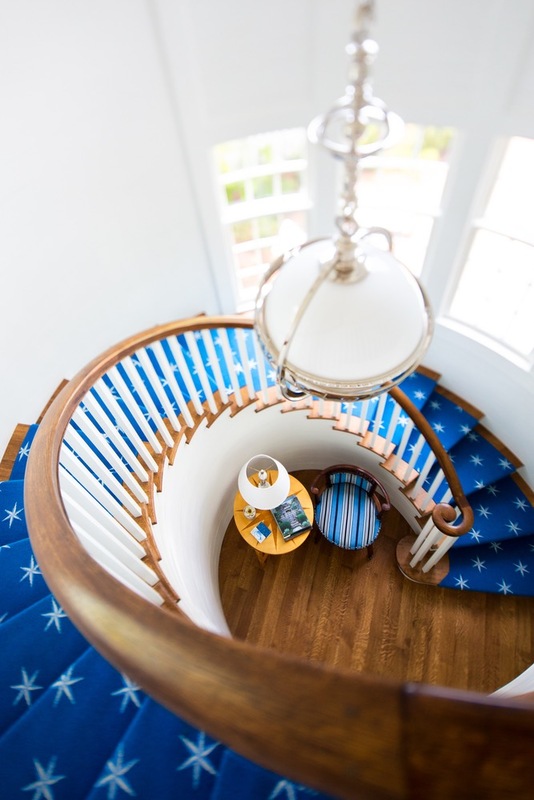 A graphic artist designed the family crest with the words “In Surf We Trust” emblazoned upon it, and a craftsman in Nantucket carved the piece to be showcased on the exterior of the home. 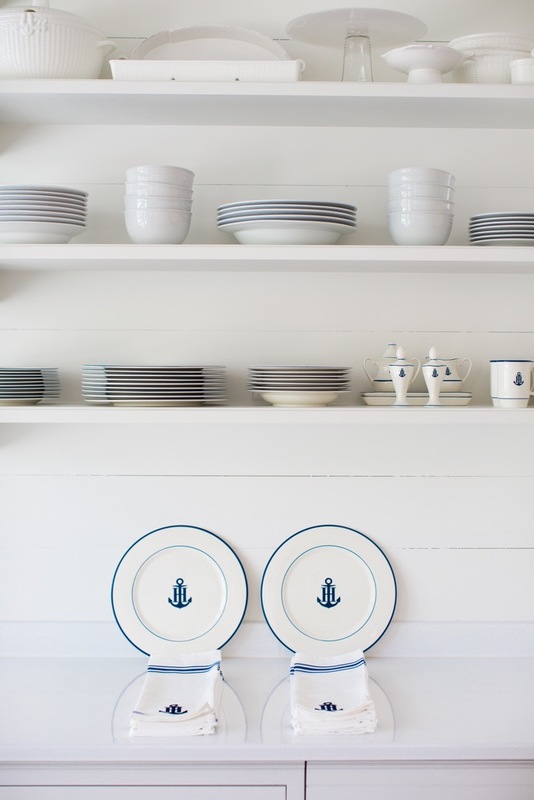 The crest is used throughout the home and is etched on china, glassware, and napkins, as well as printed on bicycle seats and T-shirts coveted by the children’s local and international friends. 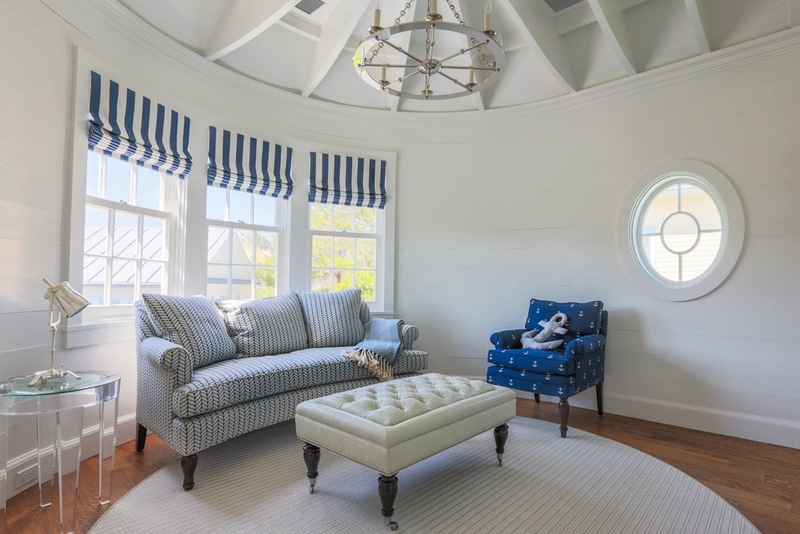 The lighting fixtures, eclectic nautical clocks, and decorative items are from the Lockhart Collection on Nantucket Island and all adhere strictly to the home’s color scheme of navy blue and white. One highlight of the home is the impressive plated wooden bar with a captain’s log for guests to sign. 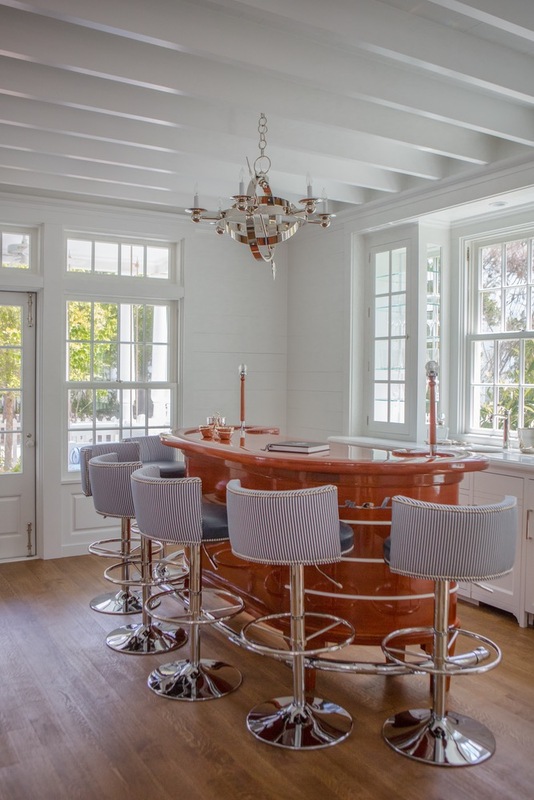 Designed after a vintage Chris-Craft boat, the bar is complete with antique stern lights. 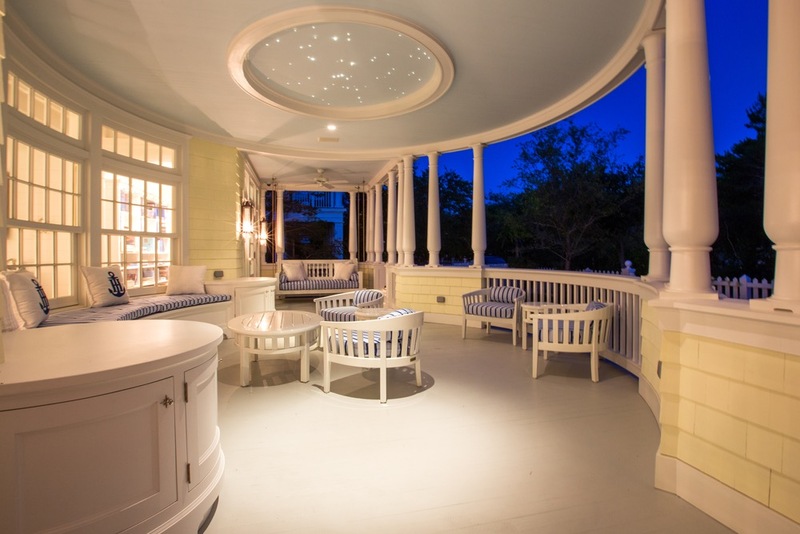 With the flip of a switch, the lights are on, the bar is open, and everyone can order from the creative “Captain’s Favorites” bar menu, where the drinks, such as “Sodapop” and “Ponyboy,” are named after family members and pets. 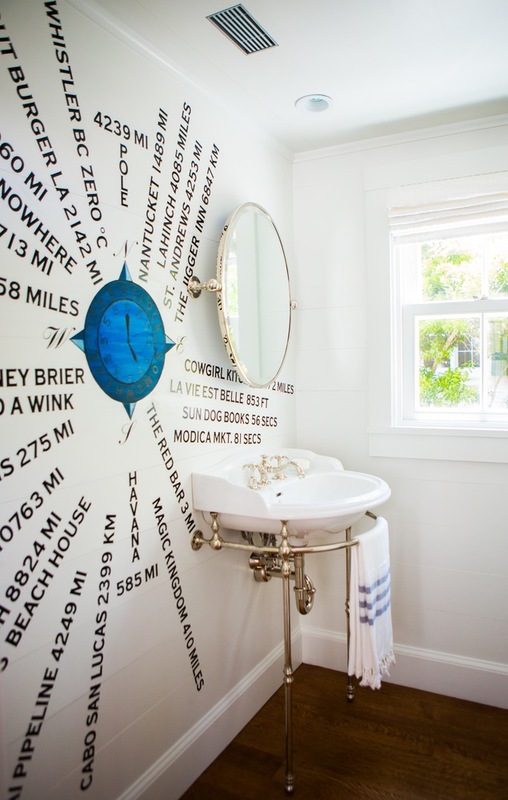 Another exceptional space is the curved powder room, where a local artist painted a replica of Nantucket’s famous directional sign. “We took the theme ‘five o’clock somewhere’ and used fives at different points near and dear to our hearts—from the Jigger Inn in St. Andrews, Scotland, to Modica Market,” Willie says. The main house boasts two king bedrooms and a loft; the guesthouse offers additional sleeping space overlooking the home’s swimming pool, which is the perfect place to cool off after a day at the beach. 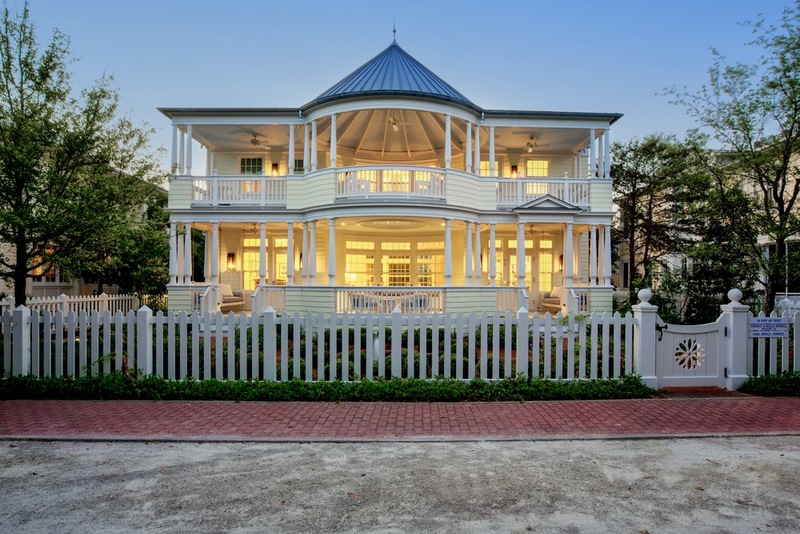 Willie says, “Our children have grown up in Seaside, and we have fallen in love with the community even more since we built this home. We are really looking forward to spending our first Christmas here.” No doubt the brainstorming has already begun on nautical wrapping paper, ribbon, ornaments, and tree trimmings. 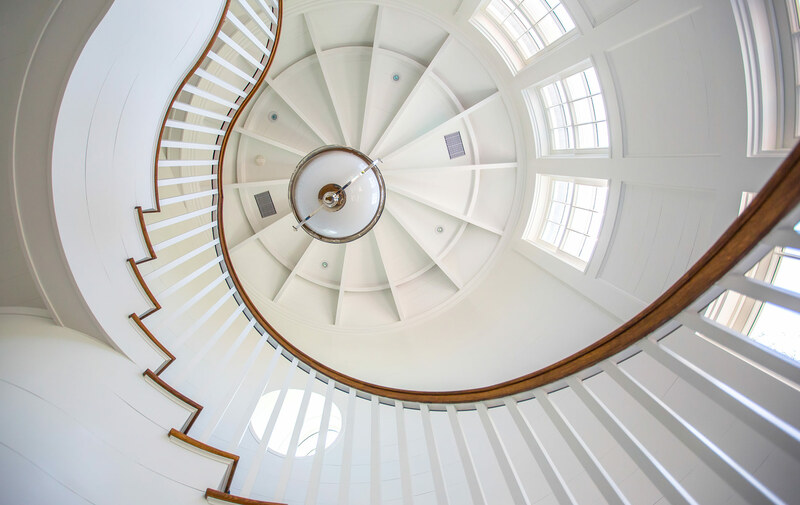 Whether walking around Central Square, relaxing by the pool, or watching the children play on the beach, one thing is certain: the Harrells and their home embody the New Urbanist spirit of Seaside, and their family motto could not be more appropriate.